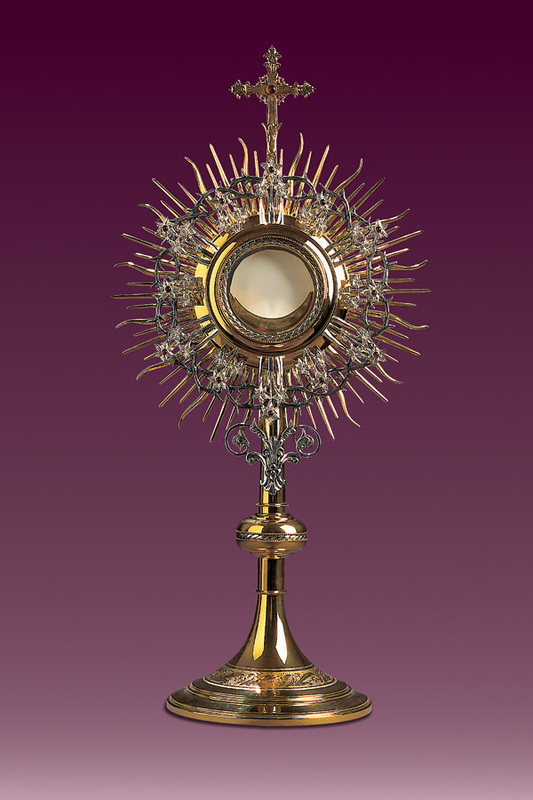 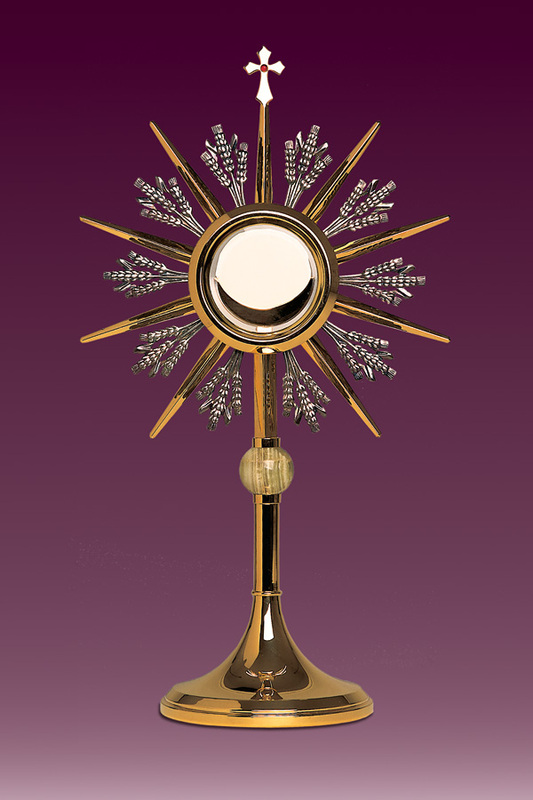 The term monstrance describes a liturgical vessel used to store the Host which is then put on the altar during all kinds of church services, adorations, processions and blessing with the Holy Sacrament. 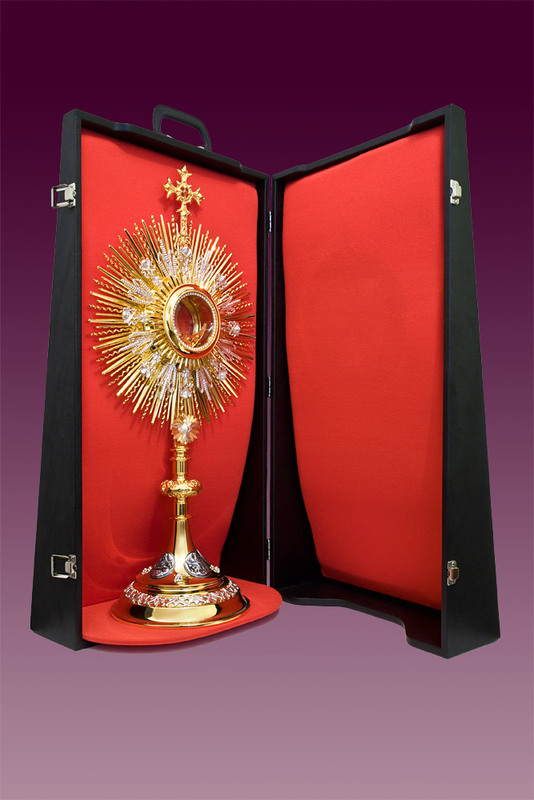 Our workshop offers a wide selection of monstrances of different shape, size and appearance. 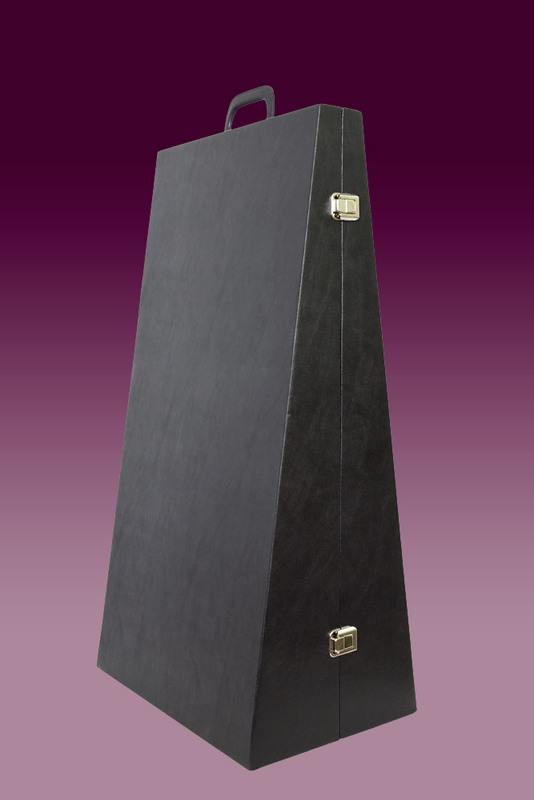 Their design is always the same – a leg serves here as a base which then becomes a stem with a nodus and an aureole. 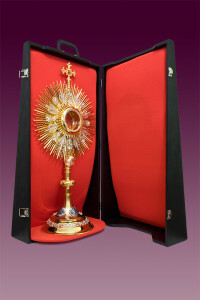 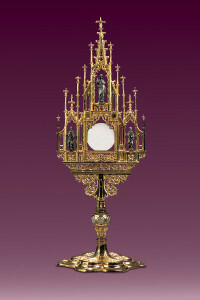 Located in the monstrance is also a small-sized box used as a repository for the Host. 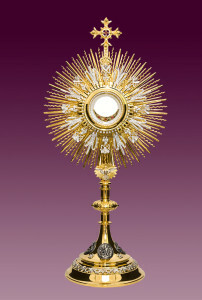 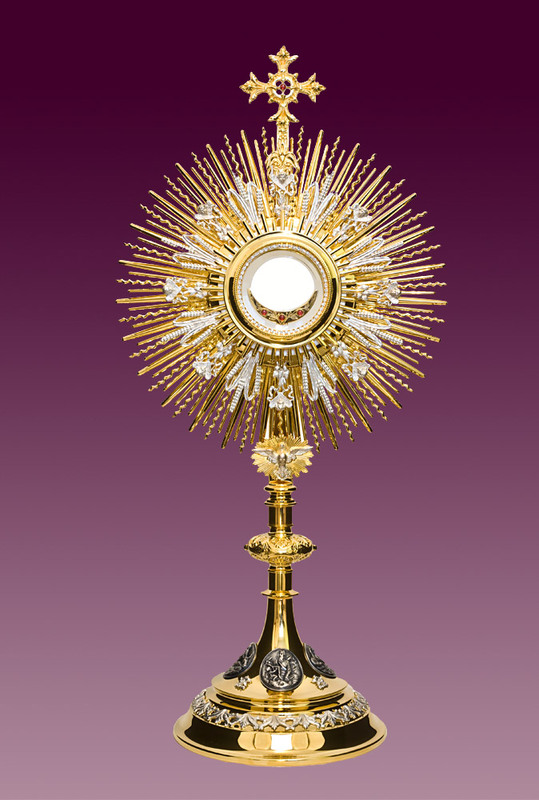 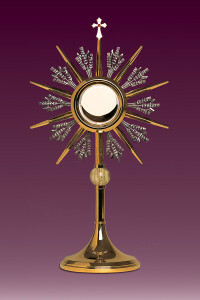 The top of a monstrance is usually a cross, the whole item being richly grooved. More monstrances see in page monstrancje.